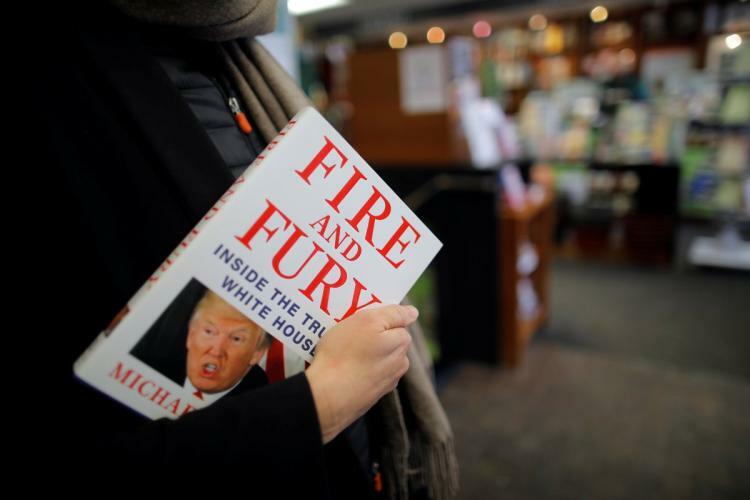 I know a lot of people are talking about "bomb cyclones" dropping in the eastern part of the nation, but a lot more people (worldwide) are talking about a book bomb titled, "Fire and Fury: Inside The Trump White House." If you live on this planet, then you know the tell-all book by Michael Wolff, has sent seismic waves throughout the world of politics and the American public. I hope I'm not understating the damage this book has wrought thus far. It was not just a bomb, it was an atomic bomb. I wasn't surprised to hear that everyone around Trump knew he was an idiot, and acted like a child. I already knew that much by listening to his tweets last year, like the rest of the world did. Trump's ego is on life support right now. If there's one thing in the world he gives a damn about it's his image. Watching the world roar with laughter as all of his closest friends and family's disparaging remarks about him are revealed, must be like pouring pitch on his hairpiece and lighting it! Wolff, in an exclusive interview on NBC's "Today," said that everyone he spoke to for the book described the president the same way...they all say he is like a child. Unfortunately for us all, this dangerous man child can start a nuclear war if he's pushed too hard. So please, try not to laugh out loud when you read the book. I've already got my copy on Kindle.